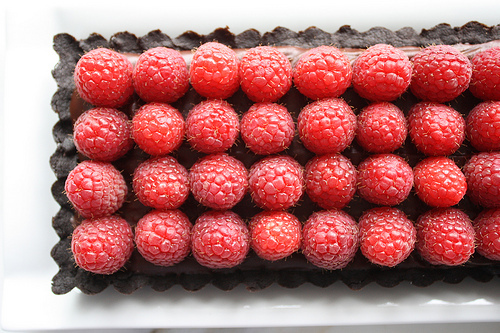 I seem to be on a bit of a berry kick this week. 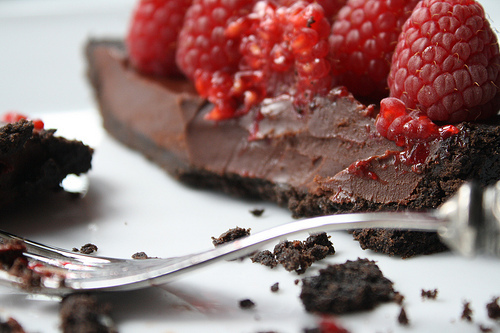 I came across this Chocolate Raspberry Tart here and my jaw just about hit my desk. 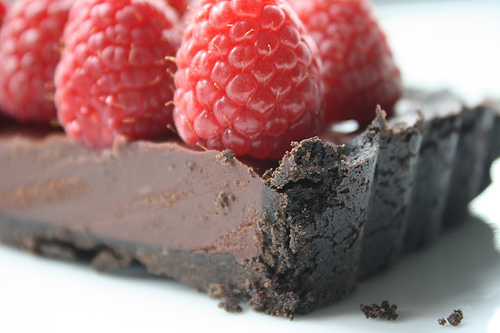 Doesn't it look decadent?! I sure think so. Now I just need to plan a dinner party to have an excuse to make it. Yum!